Turkish Airlines has revealed on the GDS that it will be increasing its flights to ORD-Chicago, USA from the on set of the IATA Winter 09-10 timetable from a 5 weekly service to a daily operation with all flights flown nonstop from its IST hub using an Airbus A 330-200. As far as its Toronto flights are concerned, TK has disclosed on the GDS system that it will be flying a same plane service from Delhi via Istanbul to Toronto in this direction only with a 2 hour 30 minute layover at IST airport. TK should seriously contemplate flying to IAD-Washington DC four times per week nonstop from IST using an A 332. With its membership now confirmed in STAR ALLIANCE and IAD being a big UA hub, it has a great opportunity to get decent amount of O&D + 6th freedom + high yielding political/diplomatic traffic on this route bound to North Africa, Middle East, Iran, Iraq, KHI and BOM/DEL especially if UA codeshares with them on this sector. Most of all by the sheer virtue of it flying scheduled flights into BGW-Baghdad airport, traffic between IAD and BGW is high and the yields are astronomical which should make it a no brainer of an option for TK to seriously consider! Malaysia Airlines has officially confirmed on the GDS that it will be suspending its flights to EWR-Newark nine years after the launching the route. MAS currently flies 3 times per week from KUL to EWR via Stockholm (ARN) using a Boeing 747-400 with full 5th freedom rights available on the trans-atlantic sector. MAS will suspend this route from Oct 2nd onwards as it has always made a financial loss ever since its inception. BLR/LHR - all flights suspended from Sept 15th. BLR/CMB - all flights suspended from Sept 16th. BOM/SIN + BOM/HKG - two new nonstop routes to be launched from Sept 16th using an A 332. DEL/LHR - daily nonstop flights using an A 332. DEL/BKK - daily nonstop flights using an A 320. DEL/DXB - daily nonstop flights using an A 320/321. BOM/CMB - daily nonstop flights using an A 320. BOM/BKK - daily nonstop flights using an A 320/321. BOM/DXB - daily nonstop flights using an A 320/321. The BLR LHR BLR flight timings were not attractive for onward traffic with other airlines to USA. This route too was launched with only a 3 week notice in Sept 2008 which was suicidal. They only had decent domestic connections to South India and CMB via BLR where as they should have done more by flying A 320s / A 321s from BLR to SIN and KUL to further support this flight. The 2 A 332s currently being used for BLR LHR BLR are scheduled to be used on BOM-HKG and BOM-SIN. All these 3 routes are very overcrowded and face stiff competition so it will be interesting to see how long these routes last for KF or who will they make suspend flying here as their BOM-LHR flight definitely seems to have played a part in VS suspending their own LHR-BOM services. One really hopes that KF at least make a creditable hub at BOM and DEL which would allow their Middle East and LHR bound flights to connect with SE Asia and Indian subcontinent routes. KF's 4th A 332 will be used for new daily DEL-LHR services where as the 5th one has not been allocated to any route as yet but it should be used on the upcoming daily BOM-DXB route as the in-flight product is amazing in both J and Y classes + there is big demand for J class on this sector + the A 332 can carry 8 tons more cargo than the A 320 can on this medium haul sector. 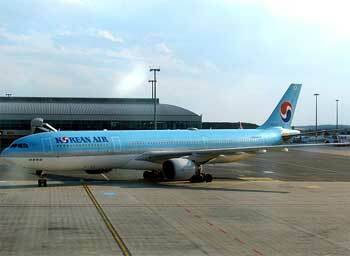 Korean Air has revealed on the GDS that it will be increasing capacity on its popular Seoul-Vancouver flight effective immediately till late October. Currently, flights are flown 5 times per week nonstop using a B 772ER, however these will be increased to a 5 weekly service operated with a Boeing 747-400. As far as its Toronto bound flight is concerned, that too has been increased from 5 weekly to daily nonstop flights effective immediately till Oct 24th using a Boeing 777-200ER. 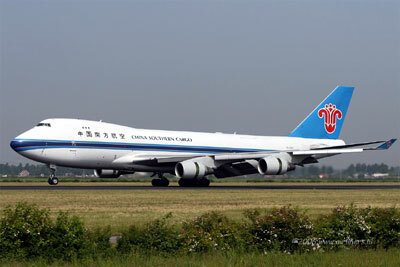 China Southern Airlines based out of Guangzhou, China has officially announced that it will be increasing its flights to Delhi, India and Los Angeles, USA from the on set of the IATA Winter 09-10 timetable. DEL-CAN flights will be increased from 3 weekly to daily nonstop flights using a Boeing 757-200 where as CAN-LAX will be increased from 3 to 5 weekly nonstop flights using a Boeing 777-200ER. 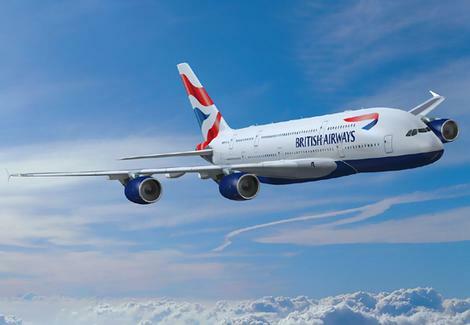 British Airways has officially confirmed that it will be increasing flights to EBB-Entebbe, Uganda from the on set of the IATA Winter 09-10 timetable to accomodate rising demand on this route. Currently, BA operates 3 weekly nonstop flights on the LHR-EBB sector with a Boeing 767-300ER, however that will be increased to 5 weekly nonstop flights using the same aircraft type. Lufthansa has revealed few changes to its Buenos Aires and Seoul routings for the IATA Winter 09-10 season. To EZE, frequencies will be increased from 5 weekly to daily nonstop flights using a Boeing 747-400. As far as ICN is concerned, frequencies are being reduced on the FRA-ICN sector from daily to 5 weekly nonstop flights using an A 340-600. Thai Airways has revealed on the GDS that it will be reducing its flights to PVG-Shanghai, China effective immediately till the end of the Summer 2009 IATA season. Currently, flights are flown 11 times per week using a B 743 daily + 4 weekly A 333, however that is being reduced to a daily nonstop service only using a B 747-300. TG has also officially confirmed that it regrets ordering the A 380 and would love to cancel the 6 air frames that it has on order but it unfortunately cannot due to various legal ramifications with Airbus and other sub-contractors. An order should have been placed for Boeing 777-300ERs to replace the B 744 fleet with the B 77Ws being configured in a 2 class layout only. PEK - frequencies increased from 3 to 5 weekly nonstop flights using a B 773ER. PVG - frequencies increased from 4 to 5 weekly nonstop flights using a B 773ER. South African Airways has been cited by the media to be in the crucial stages of negotiating a mega order with Airbus for 15 A 320s and 6 Airbus A 340-500s/600s to replace its entire A 342 fleet + its low cost airline's Mango fleet of 17 B 738s. In its current fleet, SAA has 19 A 319s, 1 B 744 and 15 A 340s (mixture of -200s/-300Es/600s). If the sole aim is to replace the A 342 fleet, then the A 345 should be ordered and used to replace the A 343s/A 346s on all Australia and USA bound flights as the A 345 can fly nonstop from JNB to both IAD + JFK which the A 343 nor A 346 can do with a full payload from JNB. The A 345 is also an aircraft offering only 10% extra capacity versus the A 346 so from a capacity stand point as well its ideal. LHR - capacity increased from Jan 1st 10 with double daily A 380 operations + double daily B 773s + double daily B 77Ws. The second daily A 380 will be used on EK 003/004. PEK - frequencies increased from 11 weekly to double daily effective Jan 3rd 10 i.e. daily B 772LR + daily A 343. PVG - frequencies increased from 11 weekly to double daily effective Jan 3rd 10 i.e. daily A 343 + daily B 773ER. FCO - in-flight product upgraded effective Dec 1st 09 from daily B 773A to daily B 773ER which will have the new F and J class product. This route will however be upgraded to a daily A 380 effective March 28th 2010. ATH - frequencies reduced from double daily to 11 weekly flights effective Oct 25th i.e. 4 weekly A 332 + daily B 773ER. ORD - all flights suspended for the winter season. HKG - frequencies reduced from double daily i.e. daily A 346 + daily A 343 to daily A 346 only for the winter season. LAX - frequencies reduced from double daily A 346s to daily A 346s for the winter season only. IAD - in summer 2010, frequencies reduced from double daily A 343s to daily A 343s only. VS too confirmed that it is in talks with Airbus for an order up to 50 Airbus A 350s consisting of all 3 versions i.e. -800/-900/-1000Xs which if ordered is expected to replace its entire A 343 and A 346 fleet in the long run. DTW/NRT- reducing frequencies on this core NWA operated route from a double daily B 744 to a single daily B 744 service only effective Oct 1st 09. DTW/PVG - frequencies increased from 4 to 5 weekly nonstop flights using a B 744. ATL/LGW - capacity reduced from daily A 333 to daily B 763ER. ATL/FCO - capacity reduced from daily A 333 to daily B 763ER. JFK/FCO - capacity reduced from daily A 333 to daily B 763ER. MSP/LHR - capacity reduced from daily A 332 to daily B 763ER. MSP/CDG - all flights suspended from September. ATL/NRT - frequencies reduced from 11 weekly flights to a daily B 744 operation. Air India has disclosed to the media that it will be cancelling deliveries of 7 out 9 upcoming Boeing 777-300ERs and instead will only receive 2 Boeing 777-200LRs + 2 Boeing 777-300ERs during the next 12 months. The 2 B 77Ls being delivered are expected to be used to launch a new nonstop service to the U.S. West Coast from Delhi this winter where as the 2 B 77Ws will be used on FRA/North America and India-LHR bound flights. This step seems to have been taken under immense domestic pressure stemming from a liquidity crisis + the airline's inability to pay its wages on time in June. Boeing though should do AI a favor and try its best to lease out these 7 B 77Ws to interested airlines looking to expand and modernize their fleet such as SV, TK, QR and EY. However, one feels that the AMD-FRA-AMD route flown on a daily basis by a B 773ER in the IATA Winter schedule with a termination in FRA is too large of an aircraft to be used on such a route unless AI can secure a code sharing pact with LH on this route which will allow LH to feed this flight with pax originating from points in USA which AI doesnt fly to that has traffic volume for AMD such as LAX, SFO, IAH, IAD, BOS, DFW and PHL. But even then, one wonders how AI will fill up even 40% of the business and first class seats on board this aircraft on a route that caters largely to VFR traffic. Spice Jet of India has officially confirmed that it will be flying on short haul international routes from May 23rd 2010 as it will complete the pre-requisite of flying for 5 years before being allowed to operate internationally. It is currently on the look out for used Boeing 737-800s in the leasing market to fuel this expansion as well as 60 seater regional planes such as ATR 72s / Dash 8s etc. It hasnt mentioned though of any intentions of wanting to expand long haul . Spice Jet should not order new B 737NGs from Boeing as that would be an un-necessary expense. It should rather aggressively snap up used B 738s and B 739ERs that are available in the dry leasing market immediately to use on key India-Middle East routes where there is scope for growth and demand for more flights. After it has established a decent Middle East network, it should look into flying to South East Asia. I would also recommend Spice Jet to purchase at least at least 8 B 787-800s and use them to launch high density medium haul flights with the aircraft seating 320 passengers in an all economy class configuration. Routes where this aircraft can perform well on are MAA-SIN, MAA-KUL, BOM-RUH, DEL-JED, BOM-JED, DEL-RUH, TRV-DXB, COK-DXB, BOM-DXB, DEL-DXB, HYD-JED and Kerala-JED as along with carrying 300+ pax, it can also carry in its belly 10 tonnes of cargo.